The number of recent graduates choosing to start their own business, rather than become employees, has nearly doubled over the past 12 months, according to new research conducted by online freelance marketplace PeoplePerHour. Carried out using statistics from the 670,000 freelancers and small business owners on its site, the study found the number of graduates registering as freelancers or micro-business owners within a year of finishing university had risen by 97%; with a 110% increase on the number of recent male graduates and a 94% increase on recent female graduates. The figures also reported a dramatic increase in the number of 18-21 year-olds registering as self-employed with a percentage increase of 69% over the last year; suggesting that a growing proportion of young people are choosing to start a business instead of going to university. In addition, the study found technology to be one of the most popular start-up sectors for recent graduates with website design and mobile app development two main areas of focus. 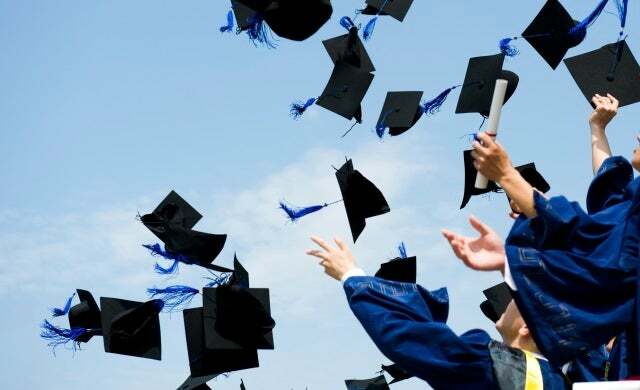 The research follows recent graduate unemployment figures published by the Office for National Statistics which showed that approximately 9% of recent graduates were out of work, while 47% were forced to take ‘non-graduate’ jobs after leaving university. “There has never been a better time to start a business, and it seems Britain’s young graduates are doing just that. “For those leaving university with student debts, the barrier to launching a business is typically a lack of start-up capital – and even though working for themselves may be an ambition for the future, the obvious and sensible first move is to find a job.